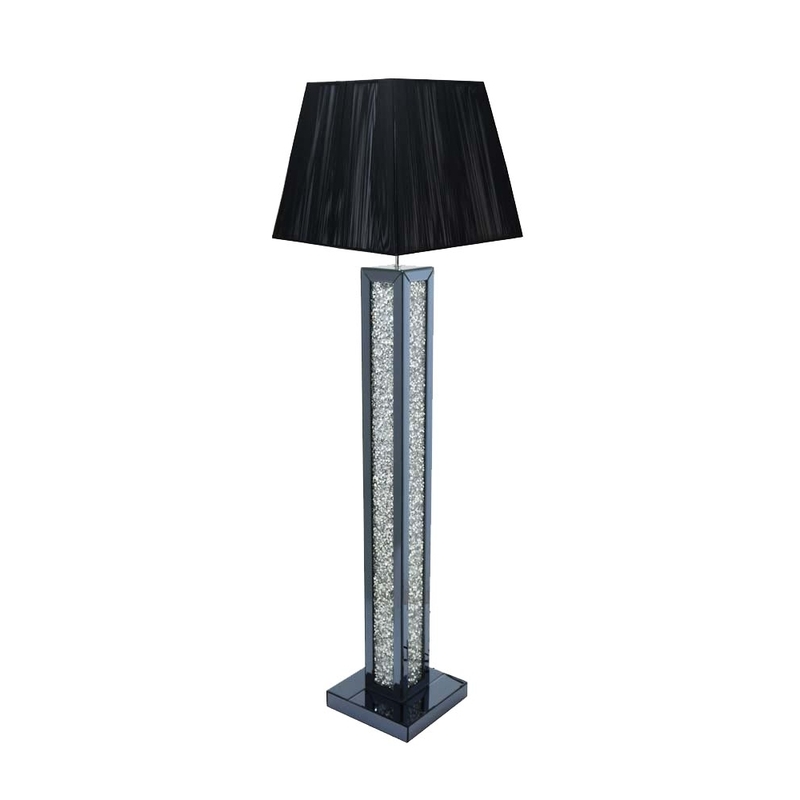 This is such a stunning floor lamp which is silver and black in colour. This mirrored floor lamp could be a perfect fit with your home. It is a really beautiful piece that could easily fit in with your home. This mirrored floor standing lamp has a pretty crystal finish in the borders which really brings out its beauty. This lamp is part of the Gatsby collection.